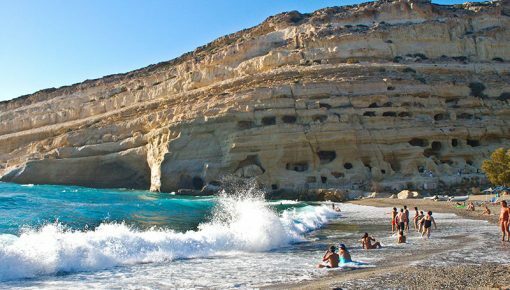 Agia Pelagia is probably the most popular tourist resort of Heraklion and is ideal for family holidays in Crete. If you are in the North side of Heraklion, you have to drive 18 km. to reach the area. It is built amphitheatrically, has a special beauty from above and impresses with its tranquil blue waters. When the weather is fine you can even see the island of Dia north of Heraklion! In the area you will find taverns, small bars and small cafes as well as all kinds of shops such as jewelry shops, souvenirs, internet cafes and car rental agencies. 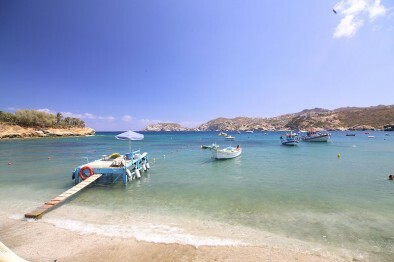 Along the beach, which is a narrow strip of sand, you will find also many taverns offering delicious Cretan food. The bay is sheltered from the north wind and the sea is almost always calm. 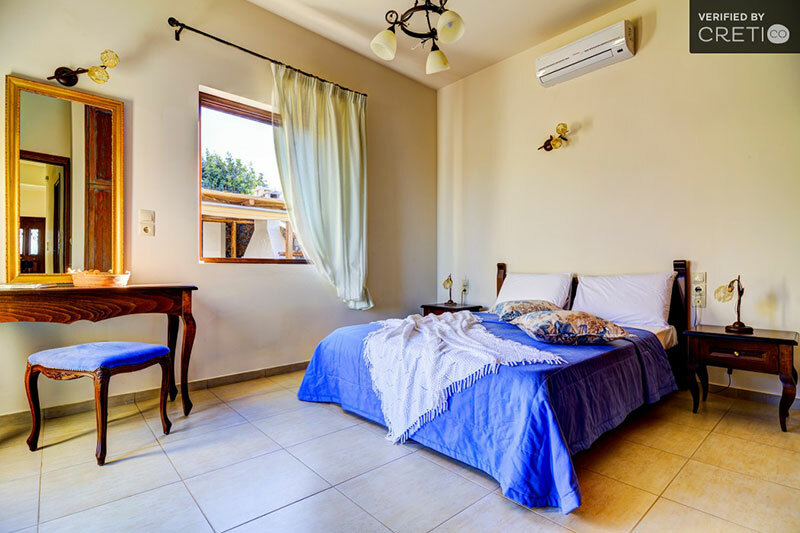 You and your family will feel quite confident in this beach, as it offers several amenities: beach chairs and umbrellas that you can rent, free showers and toilets, water sports, diving centers and pedal boats. It is the largest beach in the area and has been selected as one of the Blue Flag Beaches in 2015. The water is deep and crystal clear, perfect for dives with your mask! In Agia Pelagia the strong wind, which is a problem in most parts of the Aegean, rarely bothers you. Instead, you will enjoy a pleasant breeze. This is why on weekends the beach attracts many locals. If it is too crowded for you, you can swim or take a pedal boat to the small crystal cove, only a few meters from the main beach. 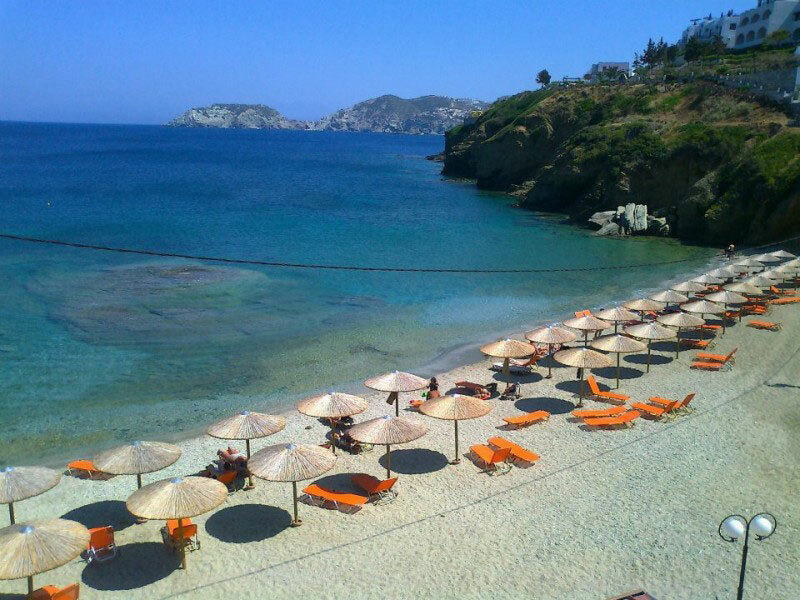 Lygaria beach is the largest beach after the main beach of Agia Pelagia. The beach is sandy and rocky in some places, has many restaurants and cafes. There is a diving center, facilities for water sports, sun loungers and umbrellas. 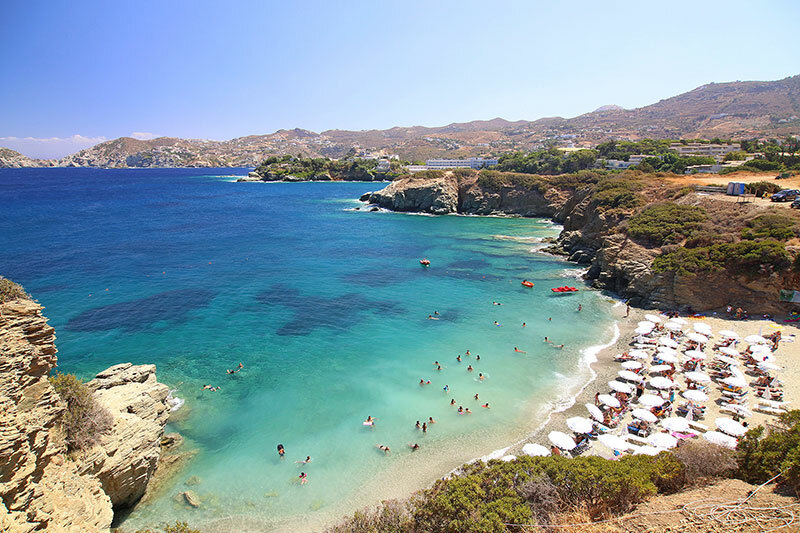 The beach is similar to Agia Pelagia with mountains around and deep blue waters. 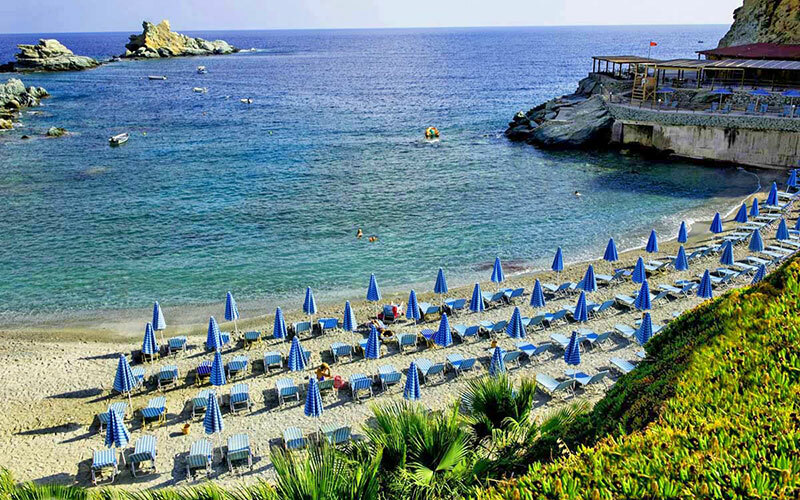 Psaromoura is one of the smallest beaches in the complex of Agia Pelagia in Heraklion, but one of the biggest in popularity, especially for the locals. The bay is surrounded by rocks and is isolated from the noise and the street. There is only a small shop on the beach that offers ice cream, drinks and sandwiches. The beach offers sun loungers and umbrellas. The name Mononaftis in Greek means “lonely sailor”. It is rumored that the bay was named after a shipwreck that only one sailor survived and reached the coasts. There you can find taverns, super markets, diving center and much more. The beach offers sun loungers and umbrellas and the water is crystal-clear. After enjoying the beautiful seas of Agia Pelagia, it is time to walk in the hills and try to discover the beauties of the place. In the late afternoon, the view of the sunset, the smells of thyme, sage and flowers in the courtyards of hotels are amazing. If you walk a little more, you will reach the picturesque church. 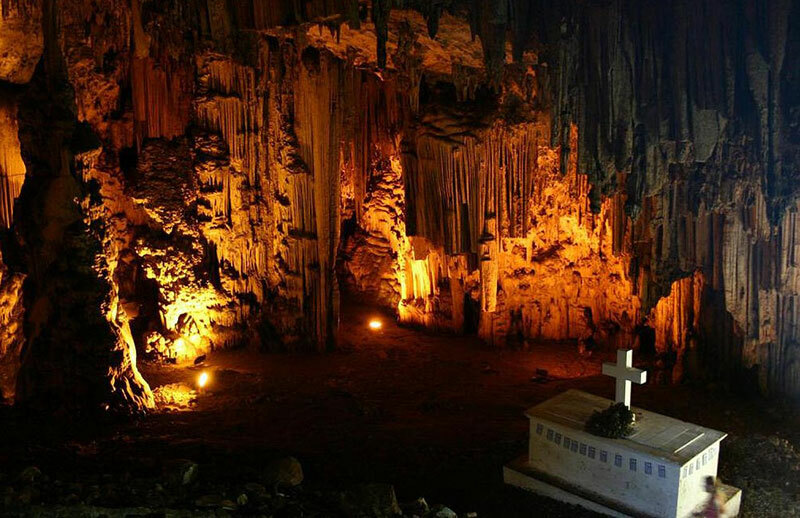 Further west after Bali is Gerontospilios cave in Melidoni, a beautiful water cave with rich history and gorgeous decoration of stalactites and stalagmites! 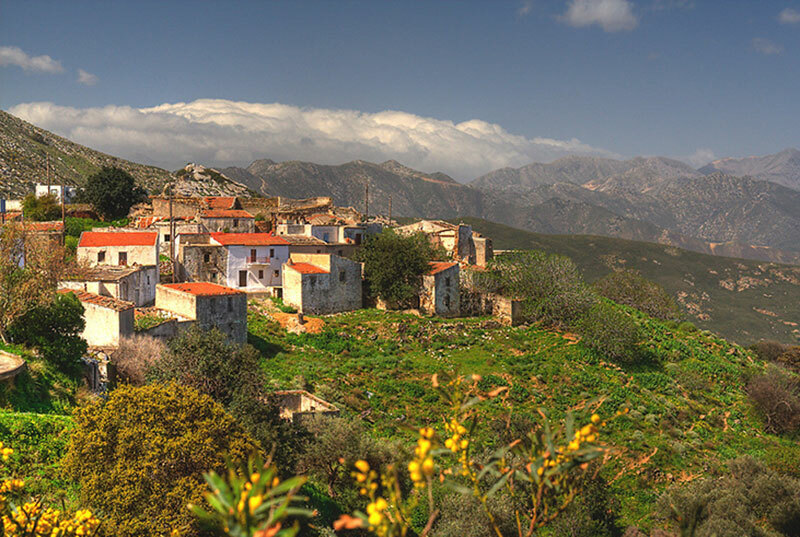 The Achlada village was once full of life. When Agia Pelagia became a famous tourist resort, the villagers left from Achlada, which gradually became an attraction for visitors. You can enjoy a peaceful stroll through the picturesque alleys and see the architecture of the small houses. The view is amazing! 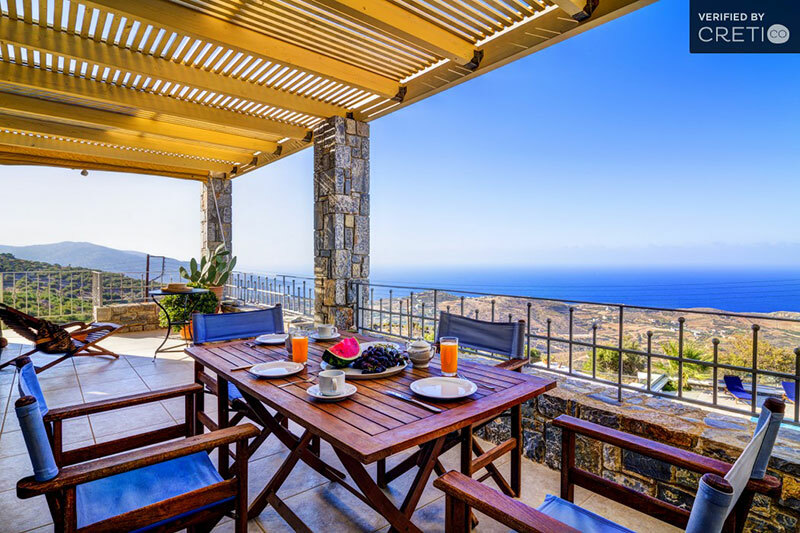 You can find a holiday villa near Agia Pelagia in Heraklion as your base and explore the beauties around. 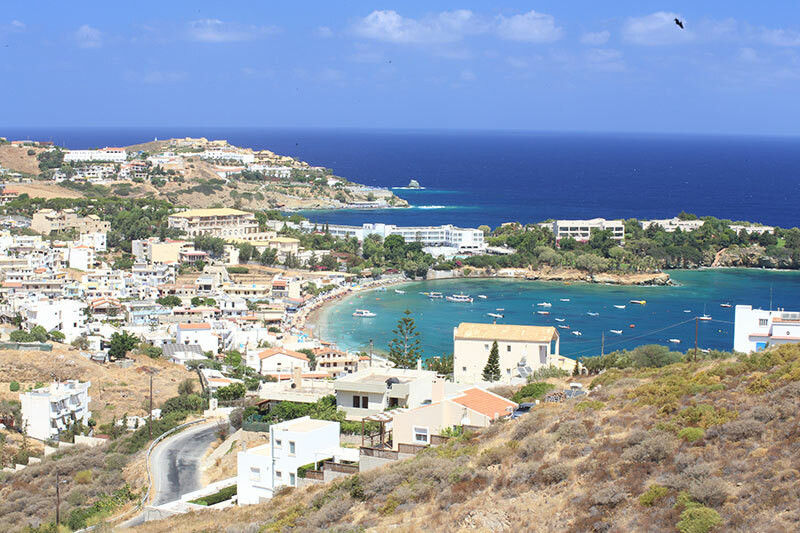 You can move by bus, taxi or rental car and visit many interesting places around like Knossos which is located just 25 kilometers east or Fodele village about 10 km west, the birthplace of the famous painter El Greco! 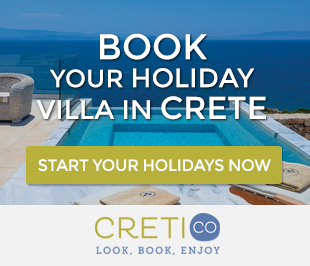 Posted on 26 Aug 2015 in Heraklion and tagged Beaches In Crete, Beaches In Heraklion, Family Holidays In Crete.